Ethereal phantoms weave through the arena, intertwining space and time, bringing visions of things yet to come. 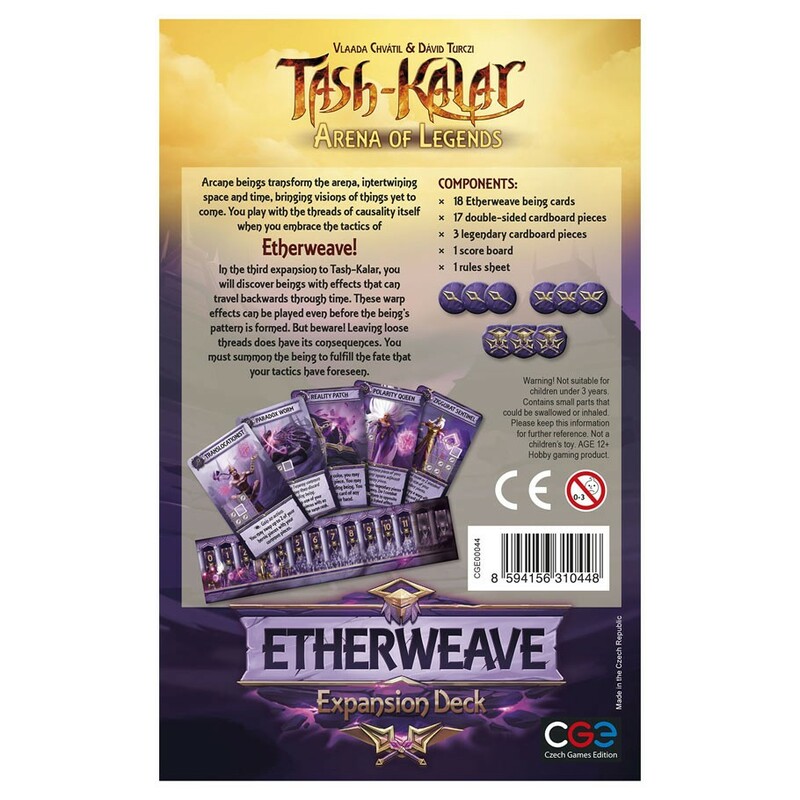 Location and causality are mutable things when you pursue the tactics of Etherweave. 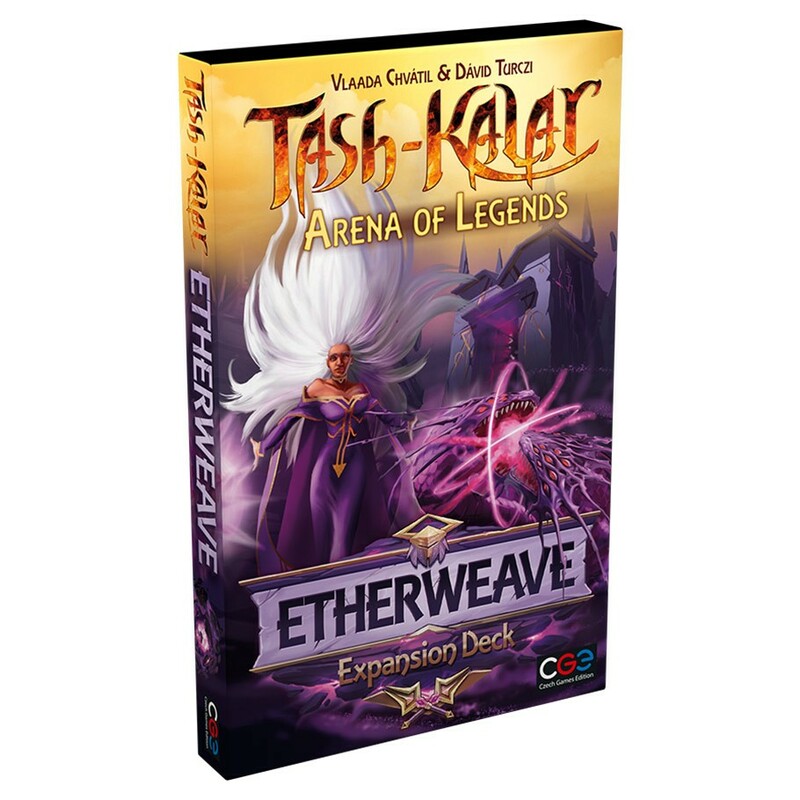 In the third expansion to Tash-Kalar, you will discover effects that can be used even before you summon the being. But Beware! Altering causality has its consequences. Once you have used the being's effect, it strongly desires to be summoned. 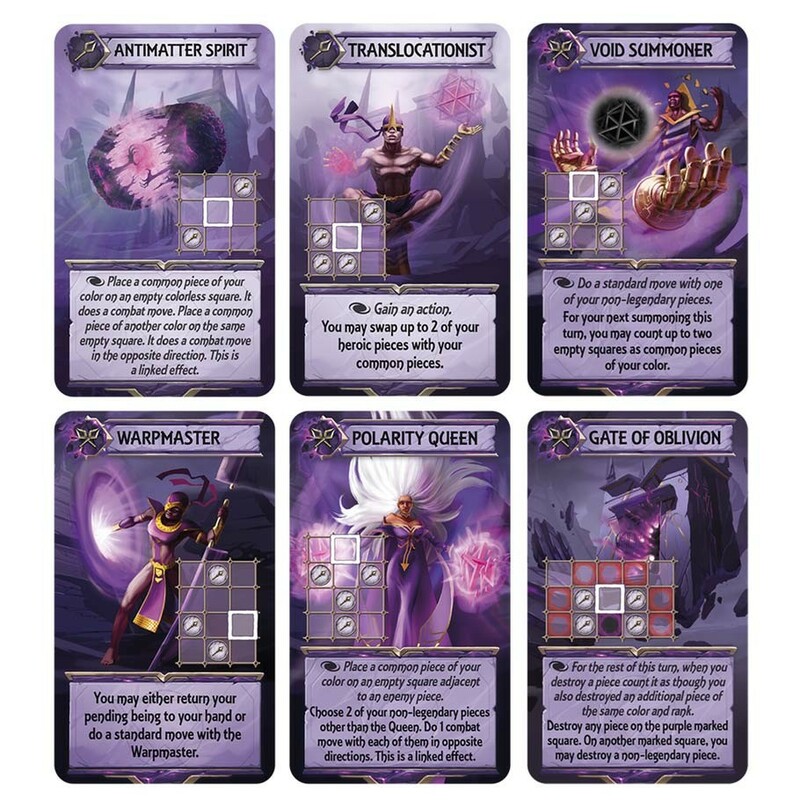 To be a master etherewaver, it is not enough to see the future: You must shape it.